I don't mind running in the rain. Don't tell anyone this, but I actually kind of like it. The rain is cooling. It feels refreshing. Sunday morning, it wasn't even raining that hard. And I love the 5k distance. It's just perfect for racing. Adrenaline carries you through the first mile, you coast through the second mile, and then just one more mile and you're basically done. It's easy to gauge what your pace should be (somewhere between "comfortable" and "I want to die") and it's easy to hold that pace for only 3m. 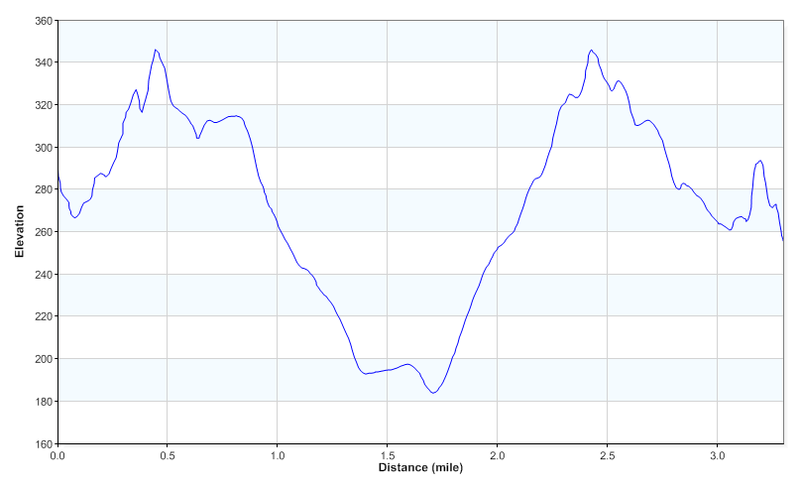 I even knew what to expect with the hills of this race, since I'd done the race before. 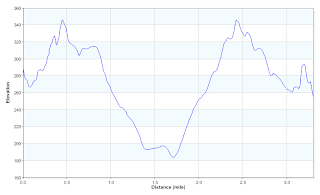 The race took place in Washington Heights and, let me tell you, the "Heights" part of its name is no joke, fool. The hills are formidable - the sort where you look ahead to suddenly be faced with an uphill wall of people, stretching into the sky. And the crowds! The crowds! I was at the 2m mark before I could set my own pace. The crowds were thick, they were all elbows and swear words (ahem, okay, maybe that was me), and they did insane things like walk four abreast or stop, cold, to walk in the middle of the one-lane course. At the one mile mark, I was actually so frustrated with the thickness of the crowds that I was forced off the street and onto the sidewalk - the course itself was unpassable with walkers. Leaving the course is cheating as far as I'm concerned. I felt my eyes well up with tears and I told myself to just turn around and go home. I snapped out of it, luckily, but it just confirmed that this was not my run. Anyway. The first mile sucked, hard. The second mile sucked, but a little less hard. The third mile was okay, I guess. I ended up finishing about a minute slower than the race I did three weeks ago. Disappointing. pictures. Yeah. Neither do I.
I am DONE with racing. I am done with crowds, I am done with paying money to get a bib and a t-shirt I never wear in order to do a mediocre job of covering distances that I could cover on my own. I'm done with being dissatisfied with myself. I run for me and not for race times. I went home, took a warm shower, made myself some tea, and sat in my chair listening to Jim Croce. That cured it. I stopped thinking of my morning as a crummy 5k race and started thinking of it as an okay 6m run. In the rain. Wouldn't you know, though? I then - later that same night! - went and registered for yet another race in April. Another 5k, even. I'm kind of rather obsessed with airplanes (in that I'm terrified of them) and I've always wanted to run a race on a runway. When I saw that registration was open for the JFK Runway Race, I was in. Plus, it's a no excuses course. You can't get flatter than a runway. "They" say that the only way to train for a 5k is to run lots of 5ks. So think of this as a training run with a T-shirt included. Crowds give me major agita. In regular life as well as in racing life. This Coogan's race sounds like a pain in the arse on the crowds front, but maybe that's just NYC. I don't blame you for feeling frustrated. What are you waiting for? Sign your bad self up for some small races! My friends were telling me abuot that 5K at JFK! It sounds cool! you could'a come by for tea at our house, we were up since the damned crowds were so noisy. That picture is around a block from our house. I *so* agree about it getting too big. Two years ago I did the race and loved it - this year, it was really miserable. Way too many people. I think racing in general in New York is getting too big, but at least most of the time it's kept to Central Park so it doesn't bother people in their neighborhoods. I did the JFK run last year and the year before! A caveat, though: While it was on the runway two years ago, last year there was a last-minute switch and we just ran on the roads. Two years ago when I ran it, it was super small, and last year it exploded in popularity (some Biggest Loser contestants were running), and I don't think the race organizers were well-planned for that many people. But hopefully this year they have it figured out! I'm sorry your Coogan's was so sucktastic! FWIW I felt pretty crowded in the pink / light blue section, too, and I agree that there were more competitors than could reasonably be accommodated in one lane of the road. Still, though, I can't help having fun in that race. JFK? Another random 5k, you say? I may just be there. Or at the St. Patrick's Day Marathon (one loop style) this weekend... that is if there's not rain. I would TOTALLY run that flat (flat!!!) 5k with you if I was here. I'll be leaving Brazil that day... Why do I find out about these cool 5k's right before leaving the country?? Yeesh...I've read a bunch of reports, but you are the first to post that nasty elevation profile. No fun in a 5k. Much like crowds. And by extension, hugely crowded races. Interesting thing about runway races: I've done a couple, both of which actually had slightly uphill grades. Trippy. I think it says a lot about the NYRR that two of their popular 5ks, Coogan's and Percy Sutton, both are crazy hilly and yet people still rave about them and set crazy PRs at them. I want more 5ks in the city, and I want them to be smaller. I also want them to have good, flat courses and to not be crowded.